Indigenous peoples in the Chesapeake harvested oysters sustainably for thousands of years—until the introduction of new techniques by Europeans decimated the stocks. As long as 3,200 years ago, Indigenous peoples living along the banks of the Chesapeake Bay harvested oysters in vast quantities. They extracted the meat and piled the shells into mounds known as middens. Archaeologists have long studied these shell mounds—some of which are meters deep—for a window into the lifestyles of these peoples: what they ate, how they hunted, and the tools they used. Now, clues unearthed in these mounds also suggest they likely knew a thing or two about how to sustainably harvest oysters. “Despite the significant role oysters played in the Native American diet back then, they weren’t overexploited,” says archaeologist Alex Jansen, leader of a recent study analyzing the middens. Since the early 1900s, overfishing in the Chesapeake Bay has led to steep declines in oyster stocks. Around 1990, oyster harvests across the bay were less than one percent of historical levels. Harvesting techniques introduced by European colonists during the 18th and 19th centuries, such as dredging and tonging, were responsible for much of this enormous toll. These destructive techniques rip living oysters from the reef, often before they’re fully grown, reducing the size and damaging the structure of the reef. Given that oysters play an important role in filtering algae, plankton, and other particles from the water, the depletion of the bay’s oysters caused the water quality to suffer. The destruction of wave-buffering oyster reefs also reduced the protection they offered to the shoreline. 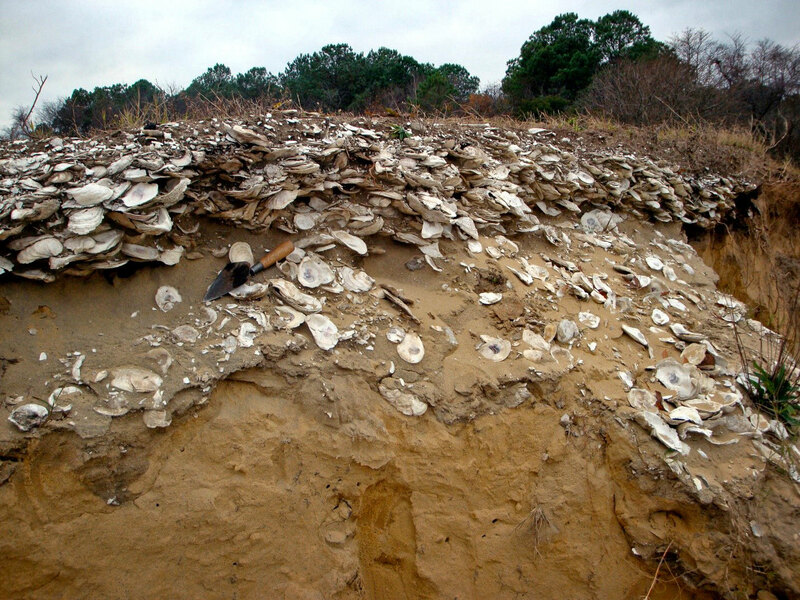 Examining shell middens near Chesapeake Bay showed Jansen that the Indigenous peoples’ harvesting practices were much less destructive, which is what allowed them to exploit oysters for thousands of years. Jansen also found tools such as ceramics, projectile points, and stones used for heating water at the study site. But based on his analysis, these tools were not used for oyster harvesting, which, he says, was mostly done by hand. He also noted the large sizes of the oyster shells, which suggests the oysters were given time to grow and reproduce before being snagged. Today, after years of restoration efforts, oyster populations in the Chesapeake Bay are showing signs of a rebound. Carmera Thomas, a program manager for the Chesapeake Bay Foundation, says that over the past few decades, millions of baby oysters attached to recycled oyster shells have been placed on sanctuary reefs throughout the bay, contributing to the restoration of oyster reefs on target tributaries. In 2017, a bill proposed by state officials and watermen in Maryland to open more than two million square kilometers of oyster sanctuary to harvest did not pass. Despite the momentum, Thomas says pressure on wild oyster populations will continue unless we learn lessons from the past and put some ancient practices into play. “If we as a population were more diligent about restoring what is taken out of the bay, using less invasive tools, and not harvesting as much … it would put less stress on the population,” Thomas says. Jansen agrees. Even though we no longer have the same technological limitations as our ancestors, that doesn’t mean we can’t heed the lessons of the past and leverage simpler approaches. Only this time, the act of conservation would undoubtedly be intentional. Evan Lubofsky is a freelance science writer based on Cape Cod, Massachusetts. 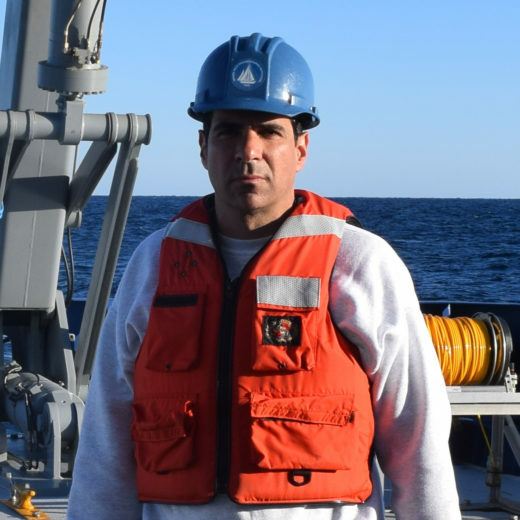 He was a 2015 Ocean Science Journalism Fellow at the Woods Hole Oceanographic Institution, and is a regular contributor to Frontiers in Ecology and the Environment, Oceanus, and a range of other publications. Cite this Article: Evan Lubofsky “In the Chesapeake Bay, Shell Mounds Show a Long History of Sustainable Oyster Harvests,” Hakai Magazine, Nov 22, 2018, accessed April 23rd, 2019, https://www.hakaimagazine.com/news/in-the-chesapeake-bay-shell-mounds-show-a-long-history-of-sustainable-oyster-harvests/.